Technology is not enough in the fight against cybercrime, effective cybersecurity measures require policy and process changes as well. That’s the takeaway from an analysis of cyber-risk spending included in the 2015 U.S. State of Cybercrime Survey recently released by PwC. While cybersecurity budgets are on the rise, companies are mostly reliant on technology solutions to fend off digital adversaries and manage risks. 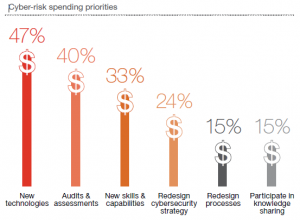 Among the 500 U.S. executives, security experts and others from public and private sectors responding to the survey, almost half (47 percent) said adding new technologies is a spending priority, higher than all other options. 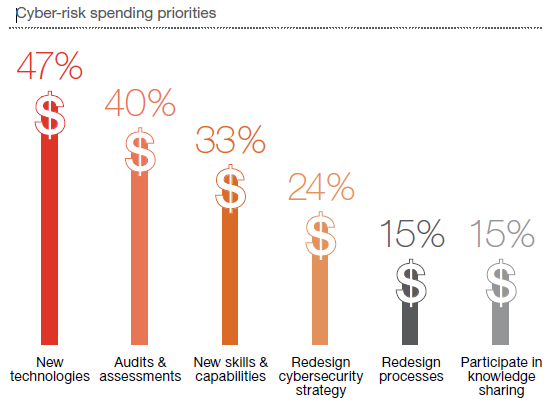 Notably, only 15 percent cited redesigning processes as a priority and 33 percent prioritized adding new skills and capabilities. When asked whether they have the expertise to address cyber risks associated with implementation of new technologies, only 26 percent said they have capable personnel on staff. Most rely on a combination of internal and external expertise to address cyber risks of new solutions. Employee training and awareness continues to be a critical, but often neglected component of cybersecurity, PwC said. Only half (50 percent) of survey respondents said they conduct periodic security awareness and training programs, and the same number offer security training for new employees. Some 76 percent of respondents to the survey said they are more concerned about cybersecurity threats this year than in the previous 12 months, up from 59 percent the year before. As PwC noted, in today’s cybercrime environment, the issue is not whether a business will be compromised, but rather how successful an attack will be. Check out Insurance Information Institute (I.I.I.) facts and statistics on cybercrime here. U.S. businesses are losing more financially from cybercrime, compared to their global peers, but are generally less aware of the cost, according to PWCÃ¢â‚¬â„¢s 2014 Global Economic Crime Survey. As cybercrime continues to increase in volume, frequency and sophistication, PWCÃ¢â‚¬â„¢s findings suggest that U.S. organizations are more at risk of suffering financial losses in excess of $1 million due to cybercrime. According to the study, some 7 percent of U.S. companies lost $1 million or more, compared to just 3 percent of global organizations. In addition, 19 percent of U.S. organizations lost $50,000 to $1 million, compared to 8 percent of global respondents. PWC doesnÃ¢â‚¬â„¢t elaborate on the reasons for this discrepancy, but other studies have noted that the types and frequencies of attacks vary from country to country. U.S. companies are also more likely to experience the most expensive types of cyber attacks, such as malicious insiders, malicious code, and web-based incidents, the research suggests. Despite having more to lose, some 42 percent of U.S. companies were unaware of cybercrimeÃ¢â‚¬â„¢s cost to their organizations, compared to 33 percent of global respondents, according to PWC. Yet, overall U.S. companies appear to have a greater understanding of the risk of cybercrime than their global peers. PWC notes that U.S. organizationsÃ¢â‚¬â„¢ perception of the risks of cybercrime exceeded the global average by 23 percent. Also, 71 percent of U.S. respondents indicated their perception of the risks of cybercrime increased over the past 24 months, rising 10 percent since 2011. Hat tip to CNBC.com which reports on this story here. Some 5,128 executives from 99 countries responded to the survey, of which 50 percent were senior executives of their respective companies. 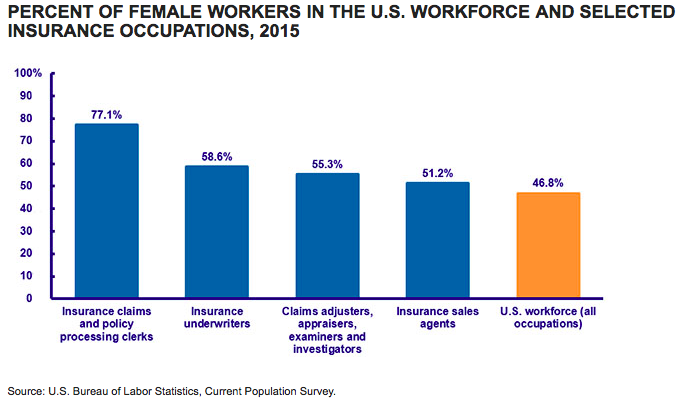 Some 35 percent represented listed companies and 54 percent represented organizations with more than 1,000 employees.